The sewing program, which is part of the the Blessed Project, is bridging the gap between when a woman is rescued and when she is self sustainably reintegrated. These women are provided skills and livelihood opportunities. We are seeing these Filipino women regain their confidence and self esteem. At Captivating, we are excited to begin our journey with the Blessed Project. Thank you to all those who are helping fund this life changing program. One of the girls from the Blessed Project made this beautiful seat cover. These seat covers are now available for rent - for parties and events in the local region. There is so much room for creativity for the girls, not only in sewing but as well as in finding ways to make these products available to the local market. 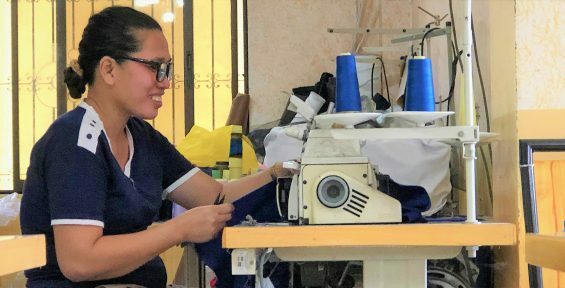 Tonet teaches sewing to the girls of Blessed Project in the Philippines, helping girls who are survivors of trafficking, develop skills and prepare them for employment and sustainable living. 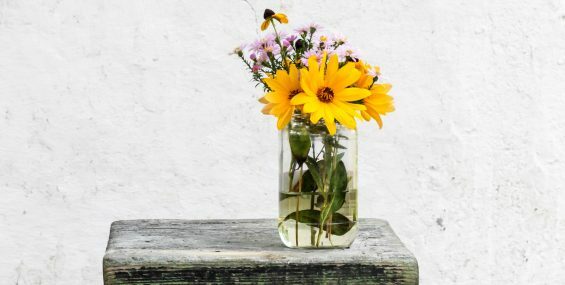 We celebrate all those who compassionately share a piece of their lives to assist and support trafficking survivors on their way to healing and recovery. The Blessed Project in the Philippines continues to be a safe place for girls rescued from abuse and trafficking. Eunice* is the newest resident of the Blessed House. She was rescued and warmly welcomed by the girls and staff. Some of the Filipino women who are part of the Blessed Project were extremely focused in learning the art of calligraphy. The amazing team at the Blessed Project help these surviors of trafficking and abuse, learn varying skills that match their varying interests and help them in their holistic development and rehabilitation. It was all smiles in the kitchen as these girls undoubtedly enjoyed their first baking activity together.